LOS BAÑOS, Philippines—Better access to improved, quality rice seed is essential for farmers to raise their productivity, particularly under unpredictable weather patterns due to climate change. 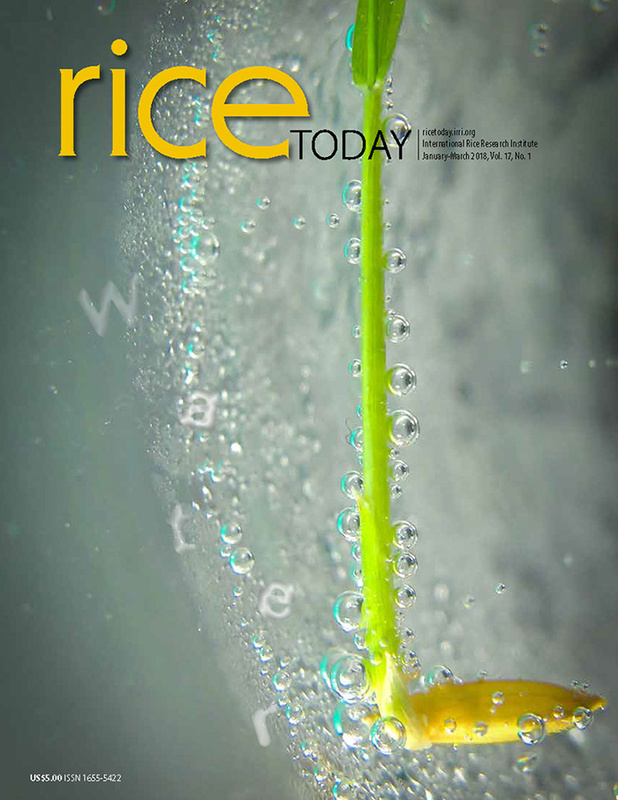 On 12 August, the Next-Gen Project, Accelerating the development and adoption of next-generation rice varieties for the major ecosystems in the Philippines, turned over the seed of 15 climate-smart rice varieties to the Philippine Rice Research Institute (PhilRice). These included 1,005 kg of foundation seed of 14 varieties suitable for irrigated, rainfed, submergence, saline, and upland ecosystems. Also transferred were 10 kg of NSIC Rc222 breeder seed to replace the current stock at PhilRice. NSIC Rc222 is a popular high-yielding variety developed at the International Rice Research Institute (IRRI). The seed will be used for producing registered seeds to speed up introduction of the newly released climate-smart rice varieties in targeted environments, including marginal areas, to raise farmers’ yield. Dr. Georgina Vergara (left in photo), Next-Gen Project lead and scientist at IRRI, handed over the seed to Ms. Thelma Padolina of PhilRice. The Next-Gen Project is an initiative under the Food Staples Sufficiency Program of the Philippine Department of Agriculture. It utilizes advances in plant breeding methodologies and stratified multi-environment testing to speed up the development and field testing of new high-yielding inbred and hybrid rice varieties with multiple resistance/tolerance to biotic and abiotic stresses. Through high-quality seed production, the good quality seed is multiplied and immediately made available to farmers.